we have a tendency as human beings to have trouble with perspective. it's almost pathological. we seem unable to help ourselves see the important things in life. our inclinations are to fixate on the immediate and proximate, focusing only on that we can recognize through our senses and contemplate within our reference. and because we are limited creatures with limited awareness, that focus is small, leaving us to obsess in confined states of perpetual claustrophobia. in such conditions, it's easy to become jaded to the world we know. easy to become cynical to what we believe. easy to become blind to anything other than the insanity within which we are imprisoned. and so easy to become lost in the mundanities and the exigencies of our living. it's self-reinforcing. because the more we are lost the less we see, and the less we see the more we are lost. which is tragic. because every race has a finish, making the time within it finite. given that we are linear creatures that live through time in only one direction, it means that we have a scarcity of moments to make our journeys meaningful before we meet our end. this makes it imperative that we dedicate our time to that which we consider most important. and this requires that we think about what it is we believe important and why it is we believe so, and commit ourselves to pursuing them through as many of the remaining moments as possible that we may have, and then doing so as much as we can as often as we can as long as we can as sincerely as we can as intensely as we can as faithfully as we can as there is a multitude of stars in the night to remind us that as much as our time is finite the cosmos within us around us above us beyond us is eternal. and calling to us to look. and, more than this, to see. another holiday season. another year of holiday crowds in holiday panic with holiday sprees for holiday things to bring holiday cheer on holiday celebrations for holiday times. in a lot of ways, i'm actually disturbed. ostensibly, this time of year finds ties across multiple faiths originating in locations that mark now as the passage into the depths of winter to see within in its darkness the visage of the unknown and find therein an understanding of the fragility of life and take from it a reminder of the profound mystery that lies beyond death and from that come to know the truths known only to the stars beckoning forth in a cold night sky. and i consider that important. because in a world so driven by the manic frenzy of a synthesized culture of inflated consumption driven by engorged desire, the compulsion becomes to satiate the self. to the point that we lose sense of all else outside our cravings. including all else lost to feed them--all else lost, not just in terms of what, but also in terms of whom. 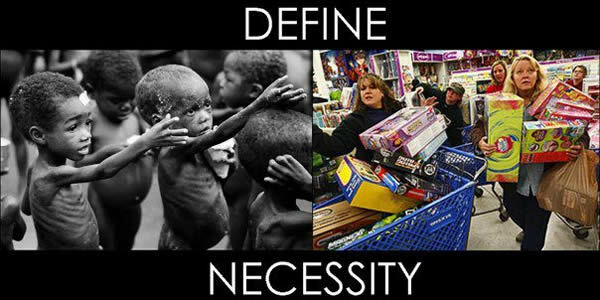 it measures the price of our consumption, our cravings, our selfishness, by the cost of other's lives. and that is very high. and for those who have committed themselves to undertaking journeys for the purpose of discerning creation's truths, this is insulting. because it ignores the encroaching darkness, blinds itself to the unknown, forsakes the flicker that is life to a final surrender in death, and denies the truths meant to guide us through the infinite cold of eternity. because it prevents us from seeing the stars in the sky.